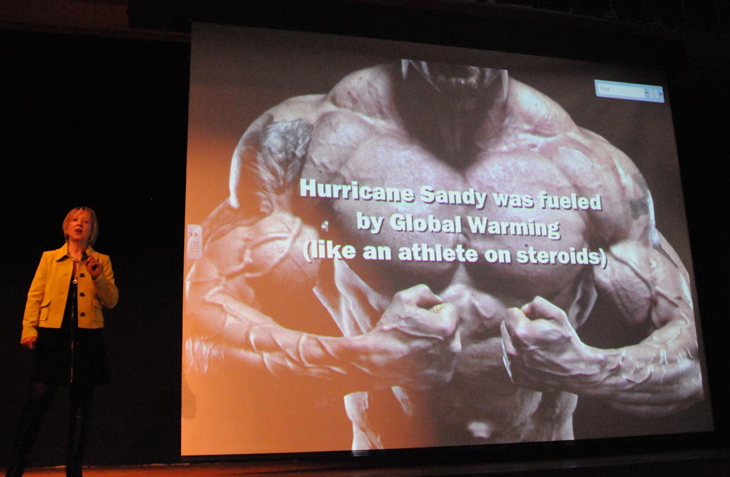 The image of the rippling athlete above is from my “How Ambitious Are You?” talk to high school students in Brantford, Ontario on Nov.29/12. I created the photo-illustration to give the students a quick way to understand the link between climate change and extreme storms. 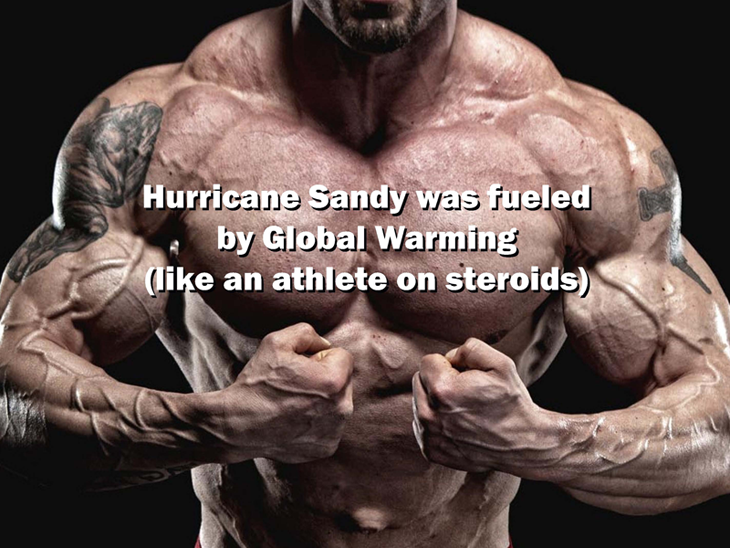 Hurricane Sandy was not caused by global warming, but it was fueled by it, just like an athlete on steroids. I asked students this key question: “How Ambitious Are You?“. The students responded by creating artwork which expressed their personal concerns and showed exactly how very ambitious they are. 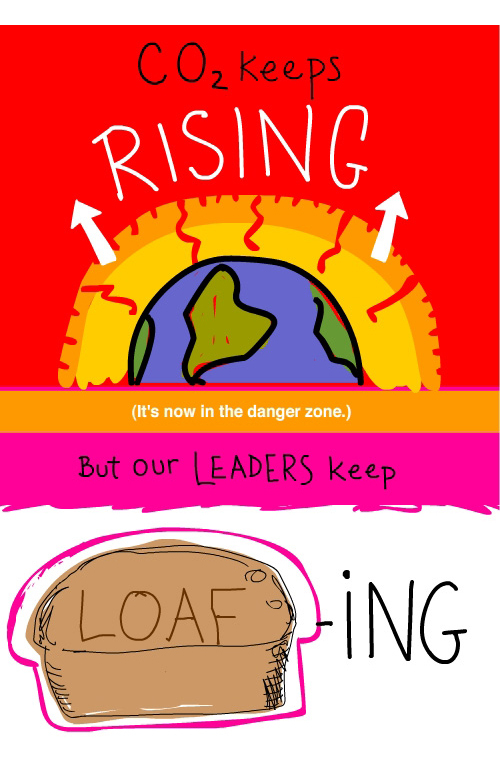 Today, a friend on Facebook asked if I was discouraged by the state of our climate. Incredulous sums it up. 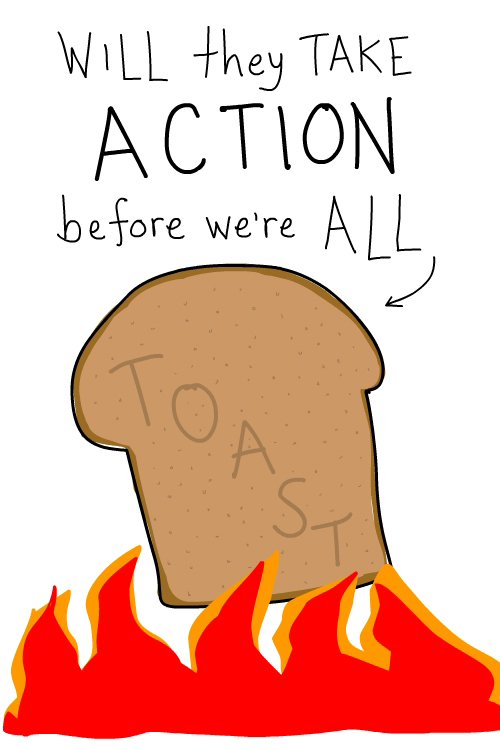 We are like frogs in a pot of water, and most people are not even aware that the pot is heating up, fast. 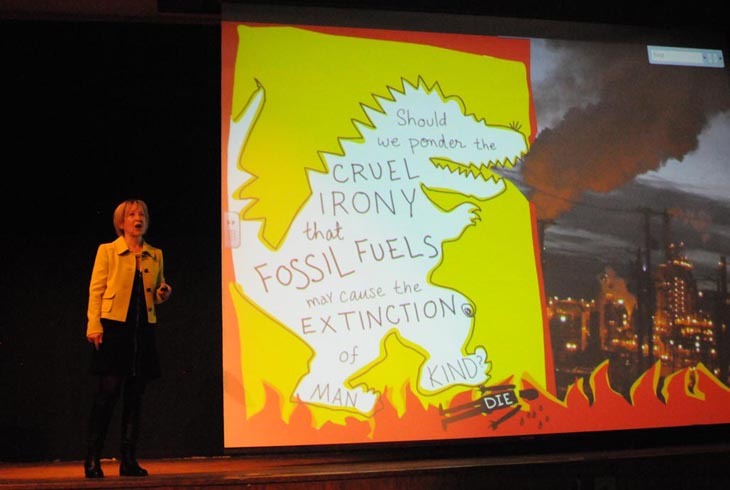 If the political will was there we could do a lot to reduce CO2 emissions and mitigate the impacts (and stay under 2 degrees warming). The shocking thing is that there is still so much denial about scientific fact — CO2 is at record highs. The Arctic will be virtually free of summer sea ice within 20 years (some say by 2020), the Permafrost is melting rapidly. NOAA reported that October 2012 was the 332nd consecutive month with an above-average temperature. The Guardian wrote, “CO2 emissions rises mean dangerous climate change now almost certain: Research by Global Carbon Project says emissions growth placing world on path to warm between 4 and 6C“. When are people — especially our ‘leaders’ — going to wake up?